As we age, a variety of factors can contribute to stained teeth, including coffee, wine and tobacco products. If you are hesitant to smile because your teeth are yellowed or discolored, teeth whitening treatments at our practice can be an easy solution to brighten your smile and feel more confident. Our experienced cosmetic dentist, Dr. Edward Romano, offers both in-office and at-home teeth whitening treatments for your convenience to help effectively improve the appearance of your smile for long-lasting results. No matter which teeth whitening method you select, we will discuss the most effective treatment plan with you to attain your specific goals. BriteSmile® in-office teeth whitening treatments at our practice can effectively whiten your teeth and reduce the appearance of stains and discoloration in one office visit. To start your treatment, BriteSmile® whitening gel is applied to your teeth. Then, the gel is activated by gentle blue light technology for about 20 minutes as you relax in your seat. Results from BriteSmile® can be long-lasting and are safe for your tooth enamel, fillings and your gums. The whitening gel used during the BriteSmile® process contains only 15% hydrogen peroxide, which can help minimize discomfort and tooth sensitivity during treatment. Dr. Romano can provide you with effective at-home teeth whitening kits if you would like to whiten your teeth on your own. If you choose this method, we will take molds of your teeth and create custom whitening trays designed to be worn either overnight or for brief periods every day, depending on your treatment plan. To use your custom-designed trays, you will fill the trays with teeth whitening gel containing hydrogen peroxide, which helps eliminate stains and discoloration. 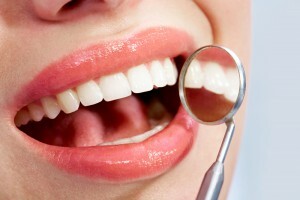 Treatment times vary, however, most treatments are complete within five weeks at most. For more information on our teeth whitening procedures, or if you would like to schedule a consultation with one of our dentists to talk about this procedure in greater detail, please contact our practice today.